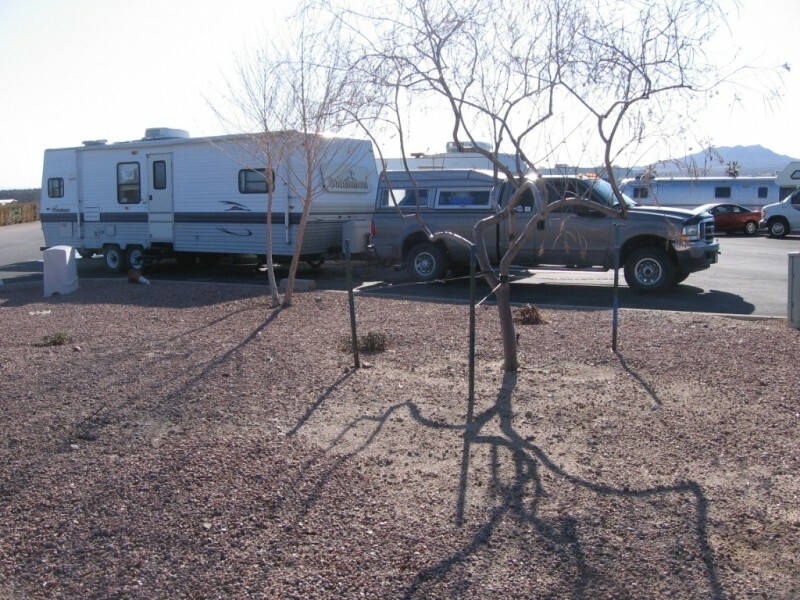 Dry camping is not free, a reader reported 3/28/13 that it costs $10. See reports. 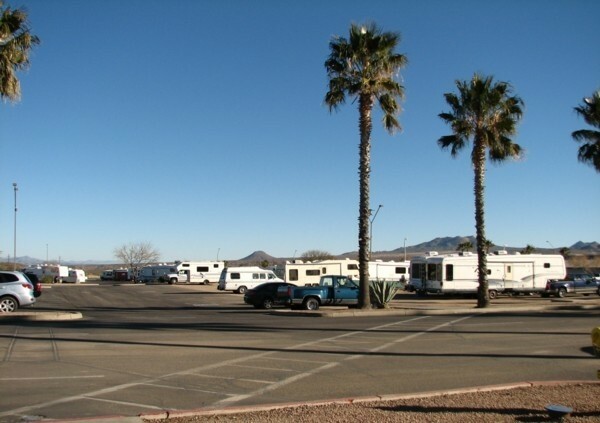 We were told by first Casino Security and again at the Camp store that Yes you park overnight in an RV and not use the $25 a night RV Park but the charge is $10 per night to dry park. 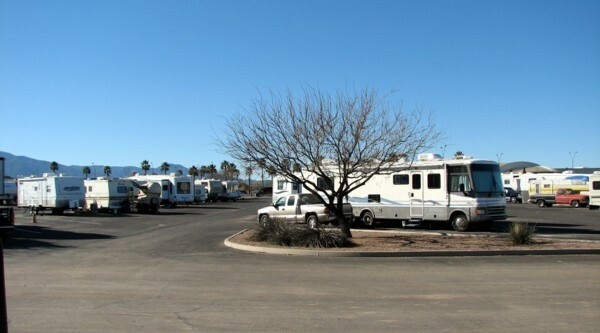 No free RV overnight parking. Apache Gold Casino- campground was just basic, nothing fancy,(check to make sure your hookups are functioning correctly) but full, we got the last spot in the late afternoon. You pick a spot then tell the people at the convenience store. It is right off the highway on the road to Globe, it is not at San Carlos. The casino was nice but not a lot of frills. It was around $20 for the night. You can dry camp in a lot next to the casino. This is a very pretty area , surrounded by mountains and landscaped with palm trees. We dry camped in gravel lot across from the campground. The campground is basically a parking lot with hook ups, no trees or tables, close together but enough room to extend slides. It was full during our stay. We used the dump which is located at the back edge of the campground. The campground has Wi-Fi but it wasn't working. You can take your laptop to the hotel lobby and connect there - two comfortable seating areas. The casino has all of the newest slot machines and 8/5 JOB. 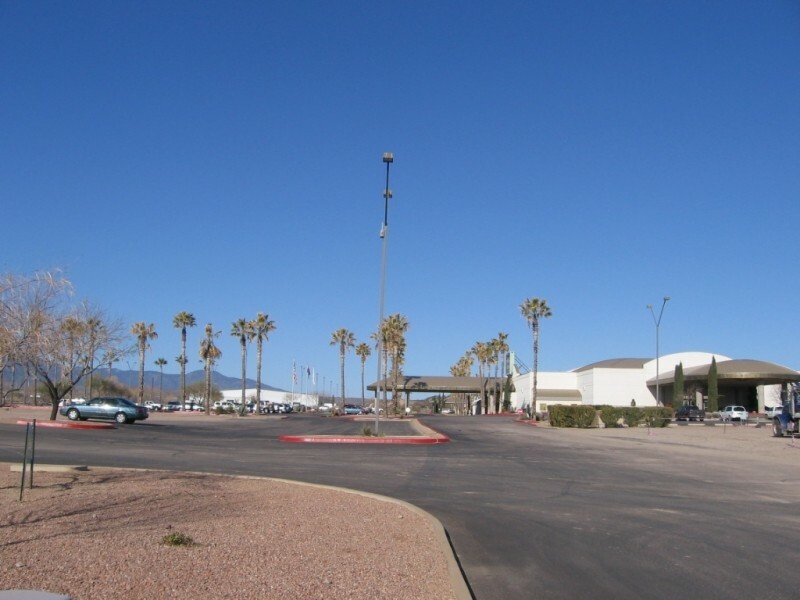 We drycamped at this casino March 2008 in the large parking lot on the east side of the casino (North of the RV park. I think these directions are about right). By the afternoon there were about 10 rigs parked in this lot. There is a dump for donation. There was a "Wheel" to spin just inside the entrance and the possibility to win meals, etc. We weren't impressed with the buffet. Enjoyed the 3 day stay and Globe is an interesting old town to spend some time and look around. We stayed at Apache Gold RV Park outside of Globe, AZ and were quite disappointed in it.